Wherever possible, Liniar products come with a full guarantee, giving customers additional peace of mind. Each range has its own specific guarantee so please see individual products for details. Liniar profiles are manufactured using tried and tested formulations from approved suppliers and will not warp, split or discolour for 10 years from date of installation. This guarantee is issued in association with our raw material suppliers and based on proven technology for UV stabilised products. 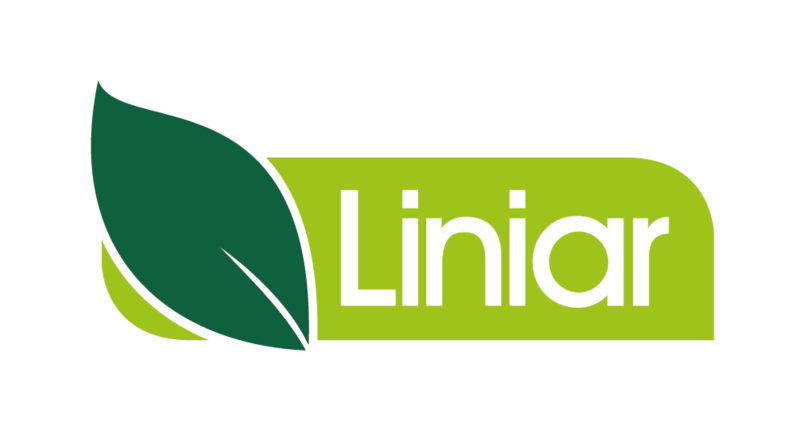 All products to be installed to Liniar recommendations. Please see our Operation and Maintenance Guide for full details of caring for your Liniar windows and doors. Product manufacture must comply with the latest issue of the Liniar ‘Bi-fold Fabrication Manual’ at the time of manufacture. Only Liniar parts must be used during manufacture, failure to do this will void all guarantees. Installations must comply with all aspects of the latest issue of the Liniar ‘Bi-fold Installation Manual’ at the time of installation. Details regarding required maintenance are specified within the latest version of the Liniar ‘Bi-fold Installation Manual’ and must be adhered to at all times after installation. You can download your copy of the Installation Manual from the downloads page. All uPVC extrusions are manufactured using tried and tested formulations from approved suppliers and will not warp, split or discolour. All moving parts are guaranteed against failure. Details regarding the correct operational use of the product is documented within the Liniar ‘Bi-fold Installation Manual’. Failure due to mishandling will void all guarantees. The guarantee applies to product finishes for 1 year but does not include faults caused by wilful or neglectful damage, excessive wear and tear and situations of atmospheric or installation conditions that may lead to accelerated finish breakdown. In the unlikely event of a product failing as a result of defective manufacture or design, Liniar will replace free of charge any product deemed as not meeting it’s exacting standards. If the product is obsolete a product of equivalent specification will be supplied. No claims for consequential cost including refitting will apply. This guarantee is valid from the date of installation, proof of which will be required. Liniar reserves the right to inspect the installation where a claim is made. This guarantee does not exclude any statutory rights of the purchaser. Product manufacture must comply with the latest issue of the Liniar ‘Patio Fabrication Manual’ at the time of manufacture. Only Liniar parts must be used during manufacture, failure to do this will void all guarantees. Installations must comply with all aspects of the latest issue of the Liniar ‘Patio Installation Manual’ at the time of installation. Details regarding required maintenance are specified within the latest version of the Liniar ‘Patio Installation manual’ and must be adhered to at all times after installation. All moving parts are guaranteed against failure. Details regarding the correct operational use of the product is documented within the Liniar ‘Patio Installation Manual’. Failure due to mishandling will void all guarantees. Liniar roofline products are manufactured using tried and tested formulations from approved suppliers and will not warp, split or discolour for 10 years from date of installation. This guarantee is issues in association with our raw material suppliers and based on proven technology for UV stablised products. Liniar uPVC products are manufactured using tried and tested formulations from approved suppliers. We guarantee they will not warp or split for 10 years from the date of installation, providing they are installed by a Liniar-approved installer and maintained in line with our guidelines. This guarantee is issued in association with our raw material suppliers and is based on proven technology for uPVC products. Further details can be supplied on request.